Following a recent letting, all office suites at 28 Claremont Road are now let. The property is popular among a range of different businesses, offering a town centre position and on-site parking close to Surbiton train station. 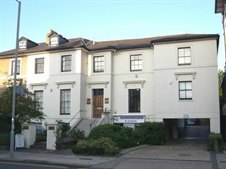 We have one other small office suite to offer in Surbiton at Meadway House, please click here for details. Alternatively, please call David Keates on 020 8546 2166 to discuss your office requirement and our current availability.